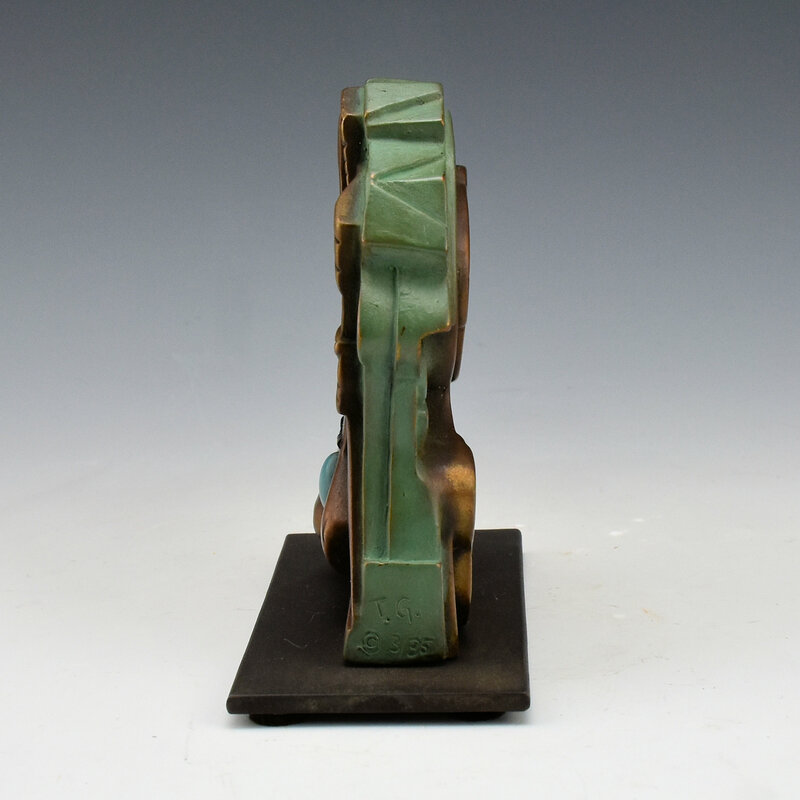 The piece has striking patinas to differentiate the various textures and depths of carving. 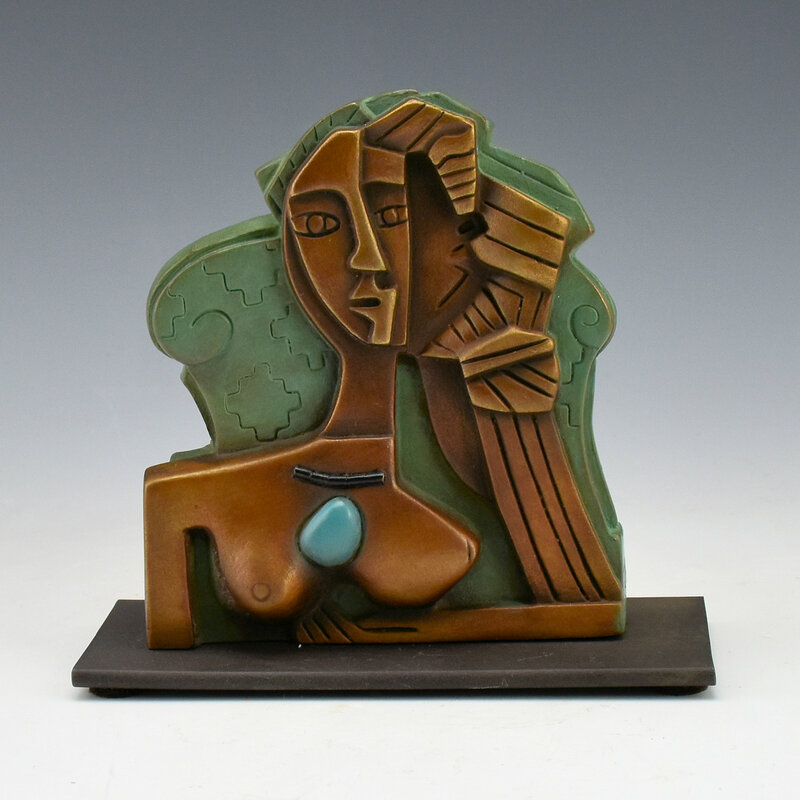 Much like her clay work, the piece is distinctive in style and yet very sharply defined. This piece is 3/35 and it is signed and numbered on the bottom by Tammy Garcia. 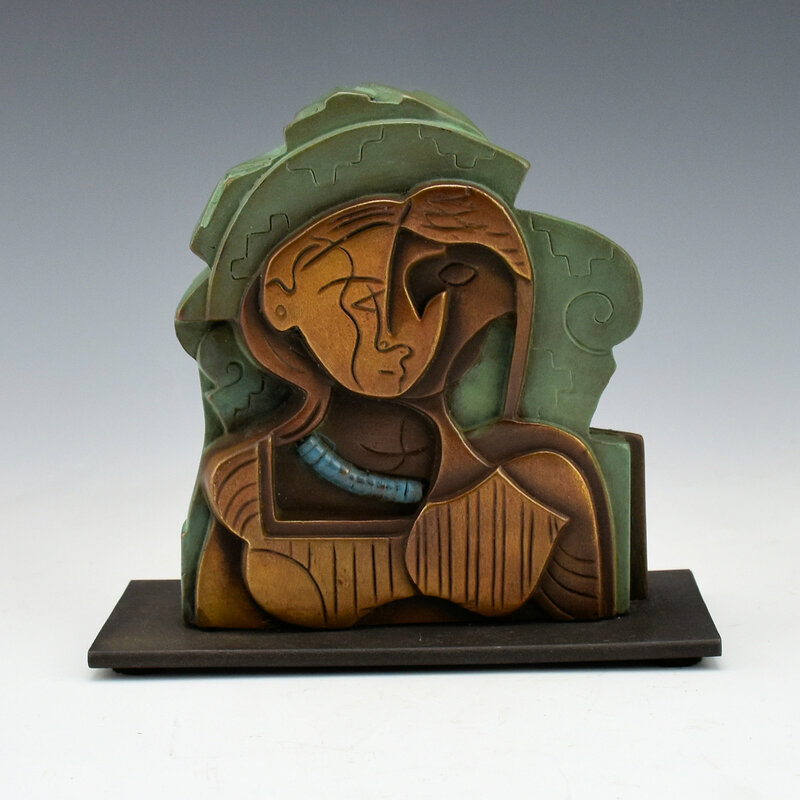 Simply a striking piece by one of today’s great potters with a lot of thought behind it!